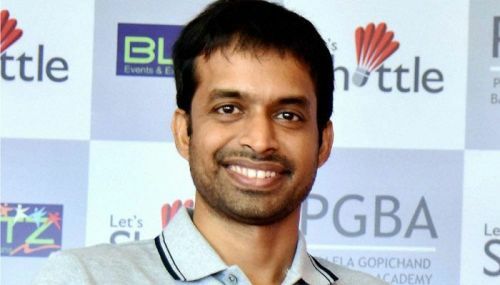 Pullela Gopichand, the chief national coach of badminton in India talked about the proposed changes in the game but was ready to wait for Badminton World Federation's decision which will be made public in May. i) Regularizing a new scoring system of 11x5, i.e. five games of 11 points each instead of the current 21x3 system. ii) Reducing on-court coaching; starting time-out options for players. iii) Introducing a fixed height for serves to bring in uniformity and minimize errors from service judges. These changes will be discussed upon and voted on by different federations on May 19 this year at the Annual General Meeting to be held in Bangkok. The 2009 Dronacharya Award winner was apprehensive about voicing his opinion on the new rules proposed by the BWF and kept his cards close to his chest. “At the moment there is nothing officially out about it, so I would just wait for the meeting to happen in May. In the meanwhile, whatever opinion we have to give the federation, we will give that,” Gopi said to reporters after the final of the G.D. Birla Memorial masters tournament. The minimum height of the service rule will come into play in March in the All England Championships on a trial basis and may also get carried into Commonwealth Games in April. Badminton Asia has not endorsed the new proposed rules and the veteran coach Vimal Kumar has already termed it as a 'stupid proposal'. Most of the current players are suited to the prevalent system of 21x3 and may not be in favour of introducing the 11x5 system. However, the 11x5 system is more commercially suited to the game and may come in play in 2019.